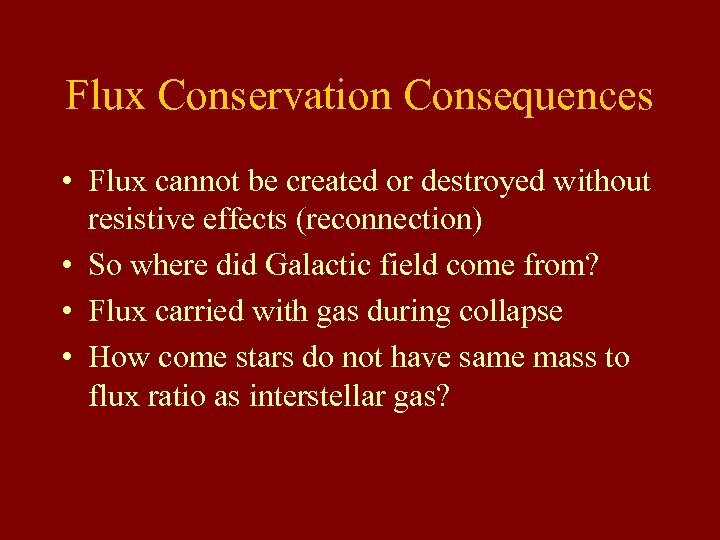 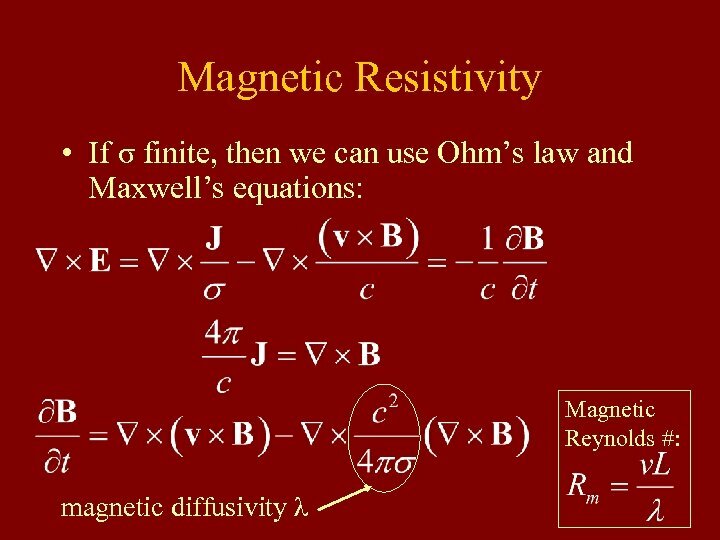 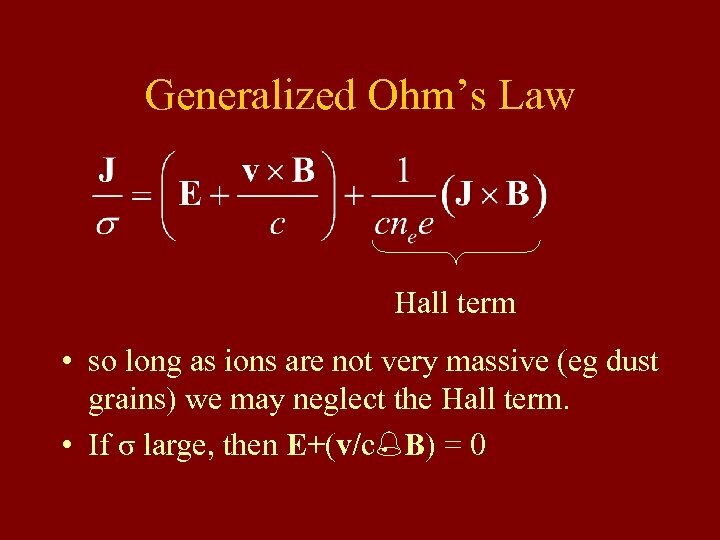 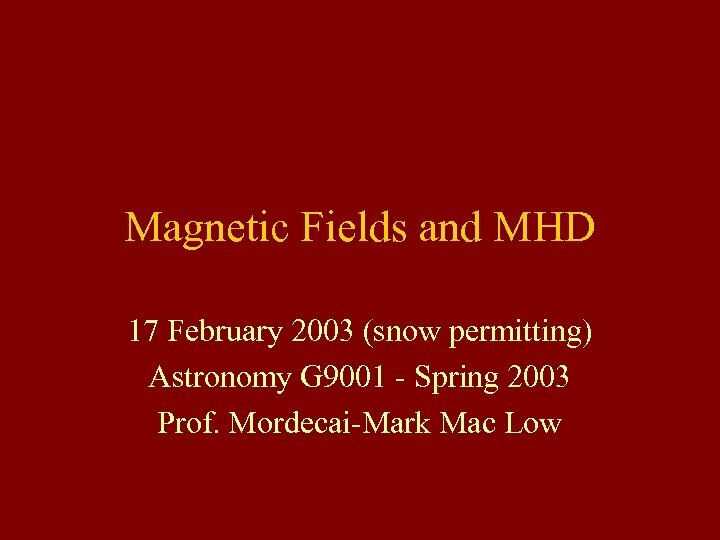 Flux Conservation Consequences • Flux cannot be created or destroyed without resistive effects (reconnection) • So where did Galactic field come from? 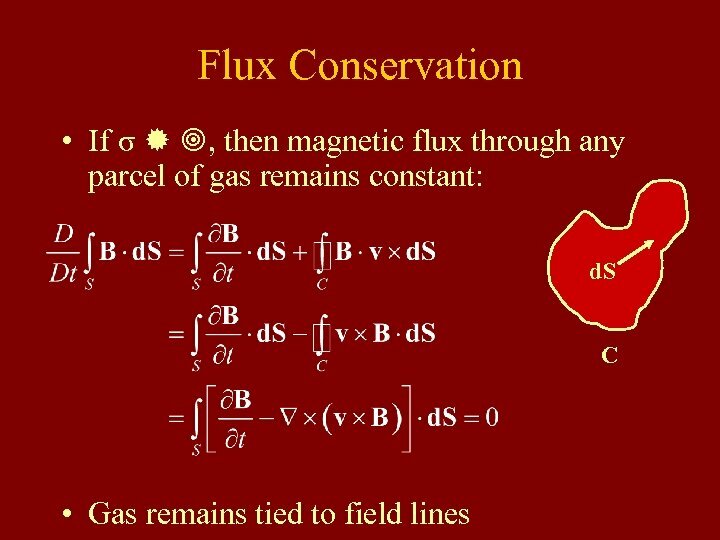 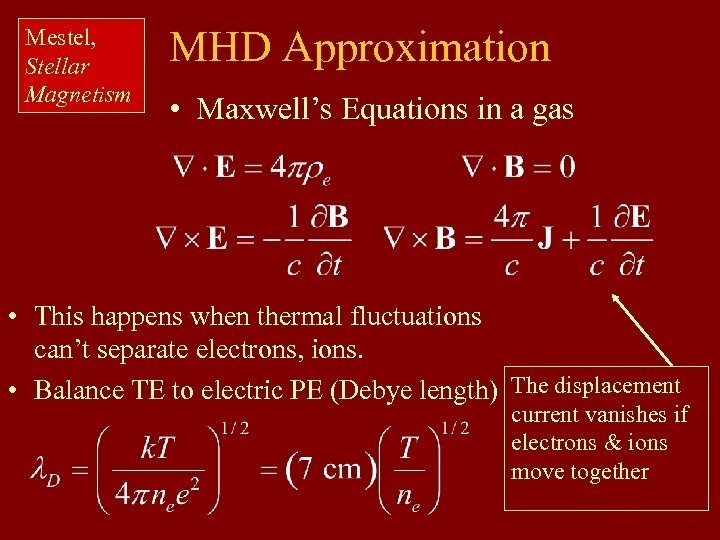 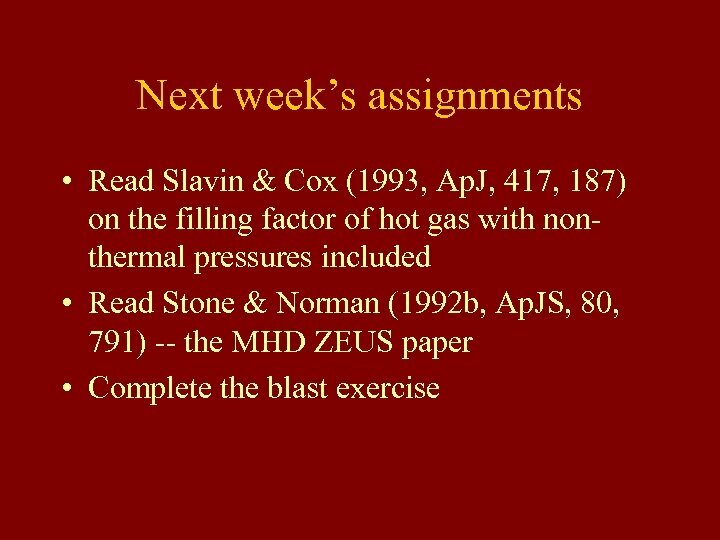 • Flux carried with gas during collapse • How come stars do not have same mass to flux ratio as interstellar gas? 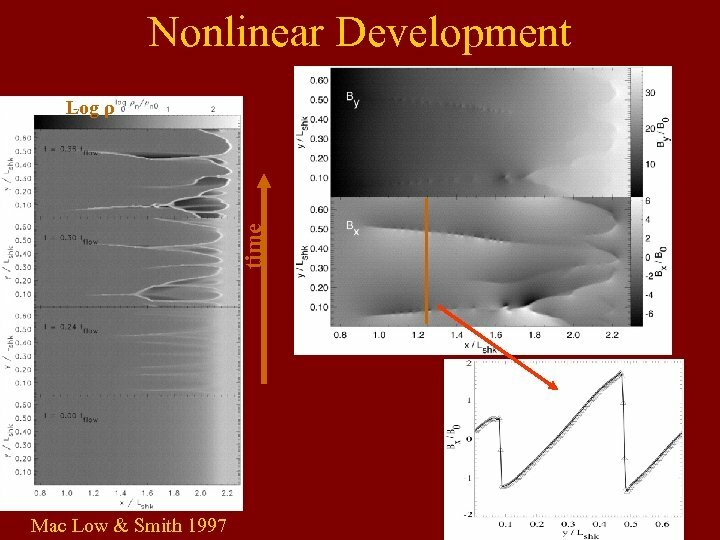 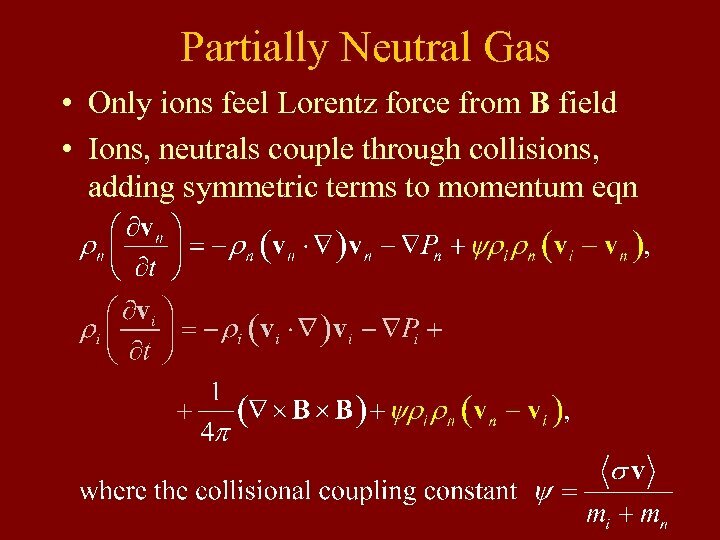 Current Sheet Formation • Brandenburg & Zweibel (1994, 1995) showed that nonlinear nature of field diffusion from ion-neutral drift produces sharp structures. 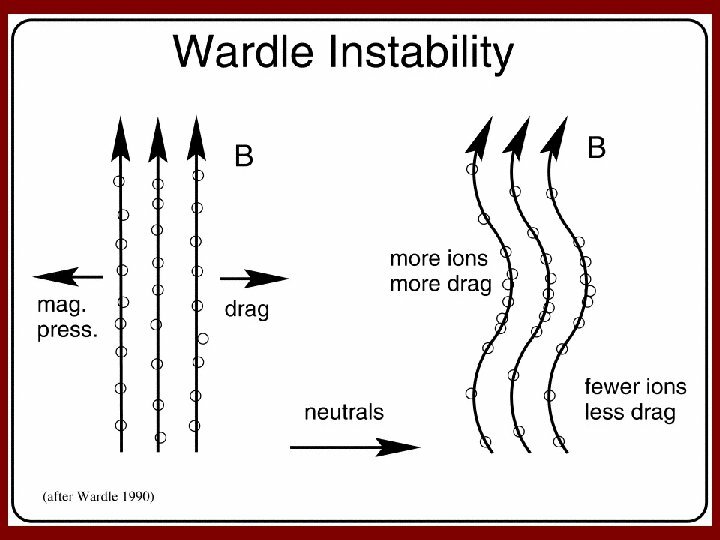 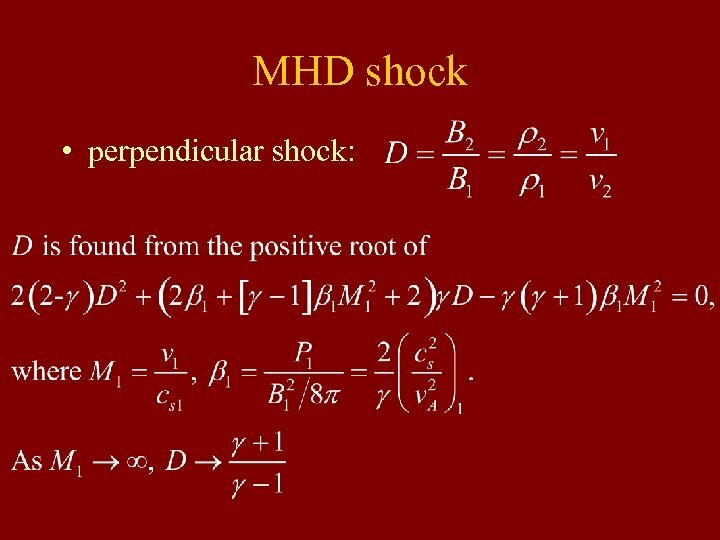 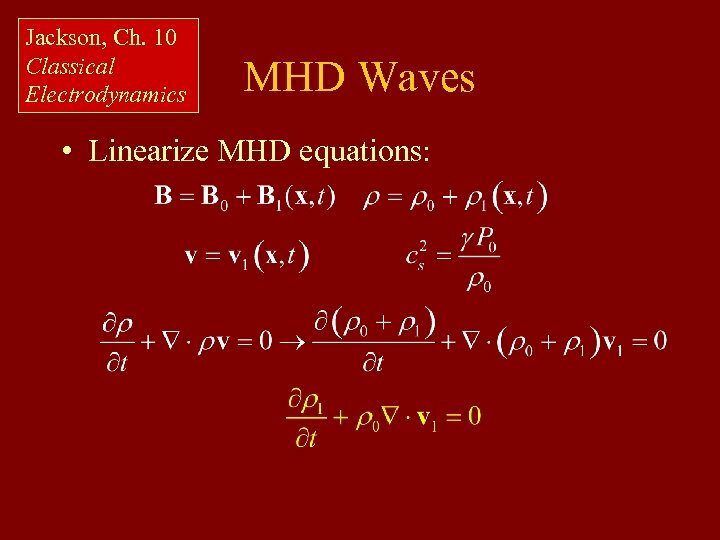 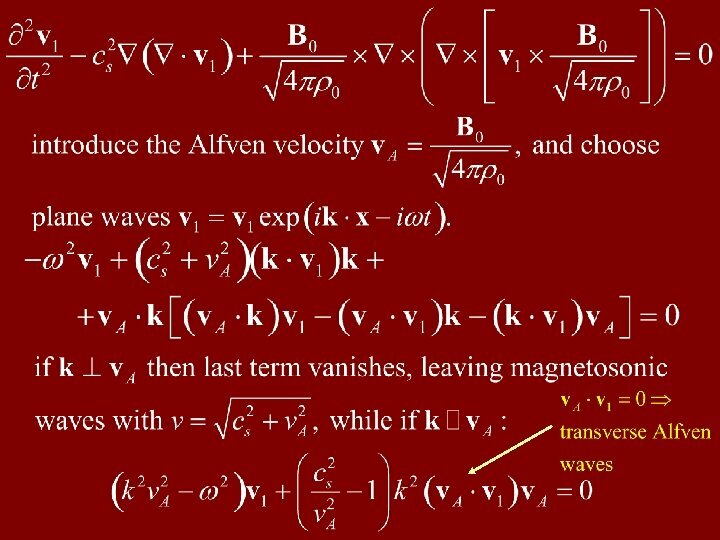 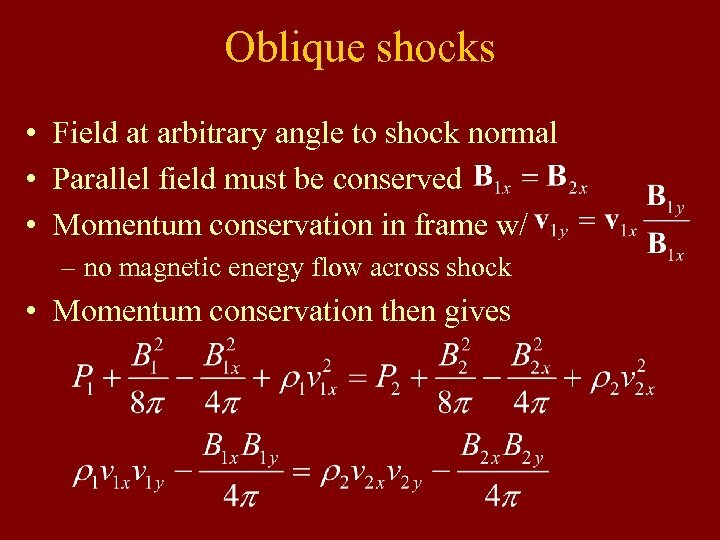 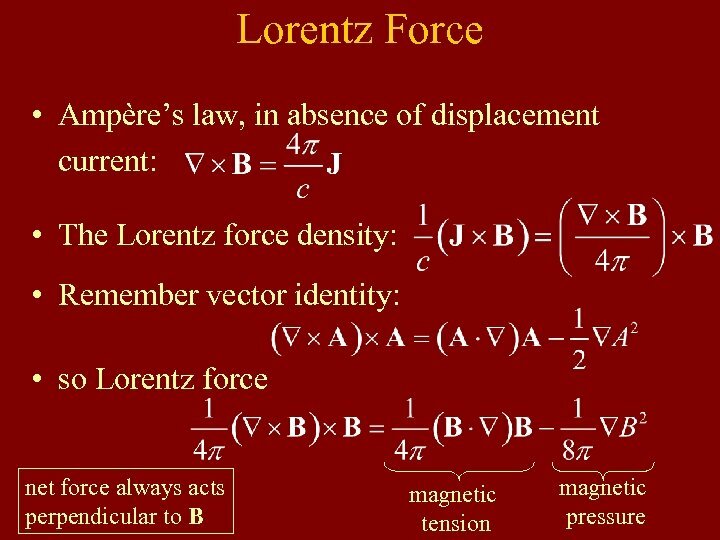 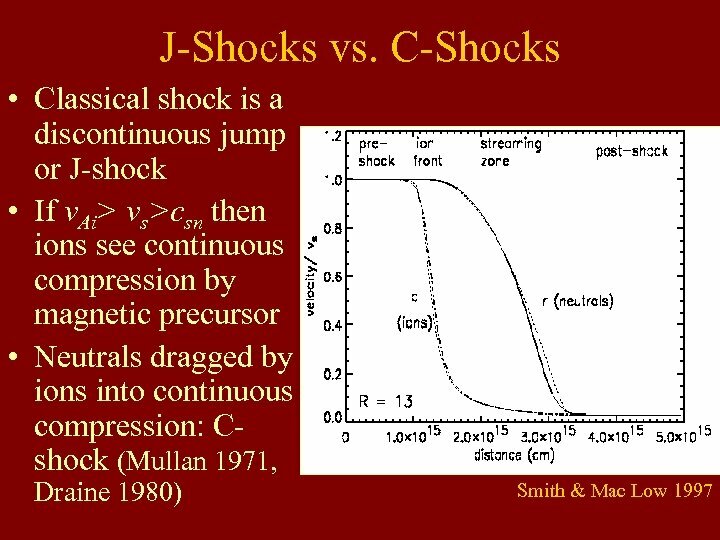 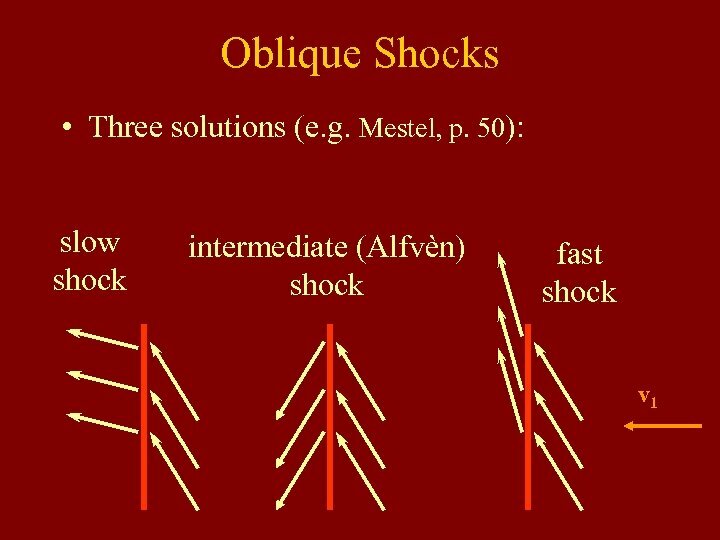 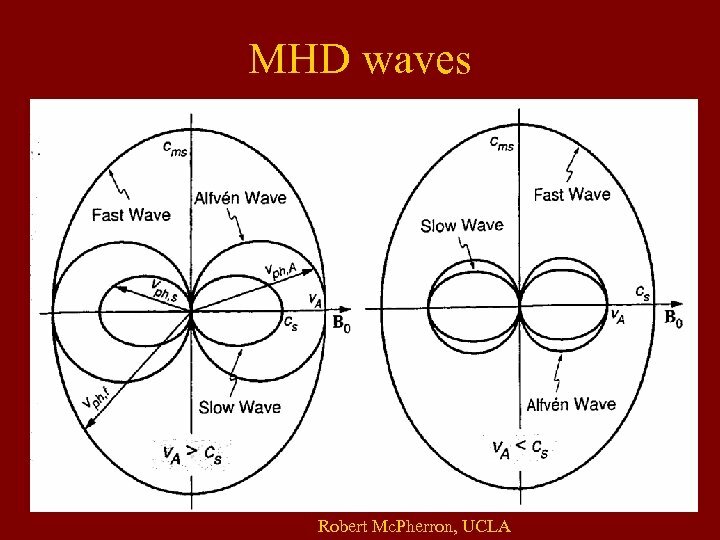 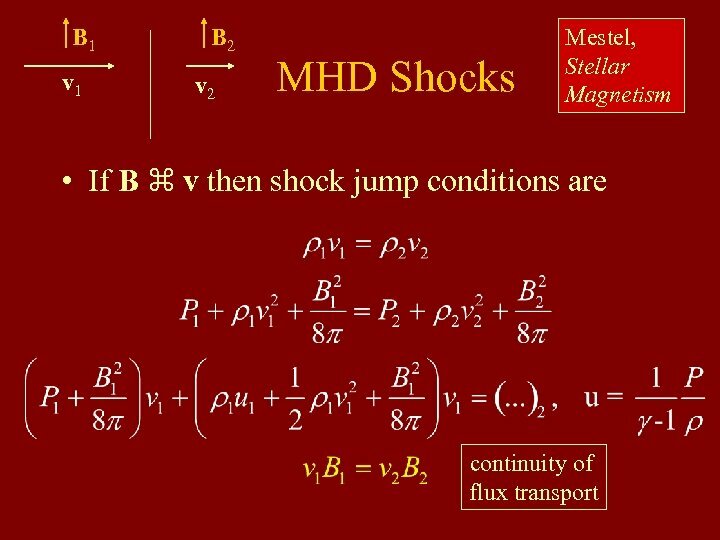 • Analogous to shock formation in strong sound waves: magnetic pressure higher in peaks, so waves spread and steepen. 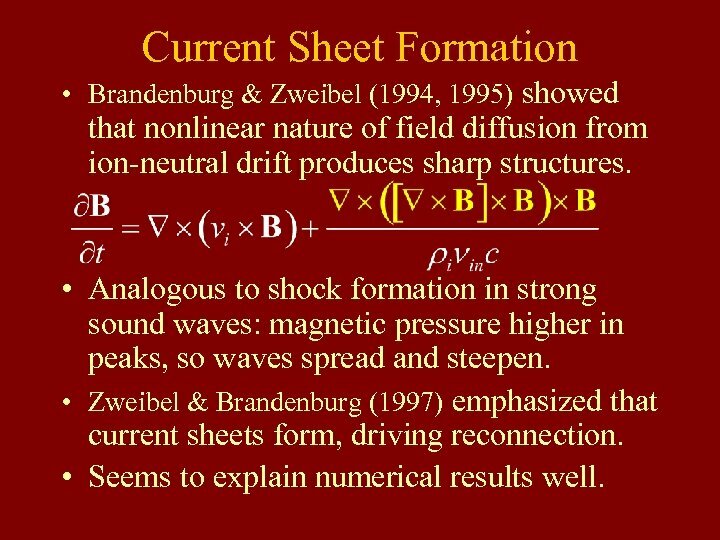 • Zweibel & Brandenburg (1997) emphasized that current sheets form, driving reconnection. 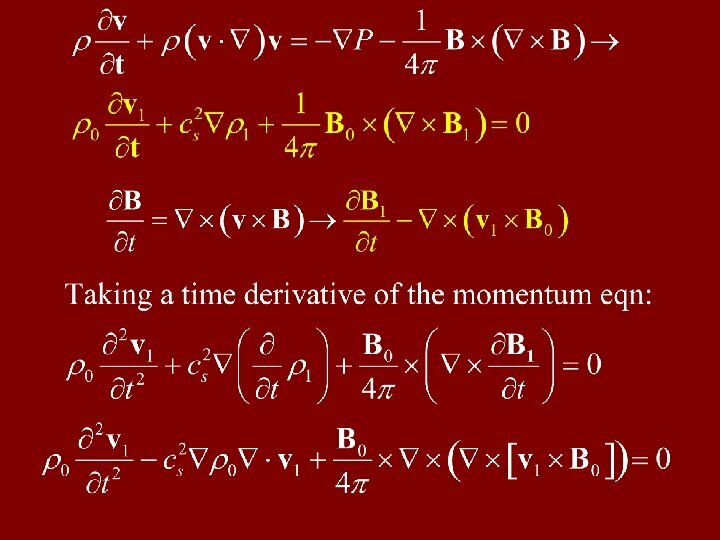 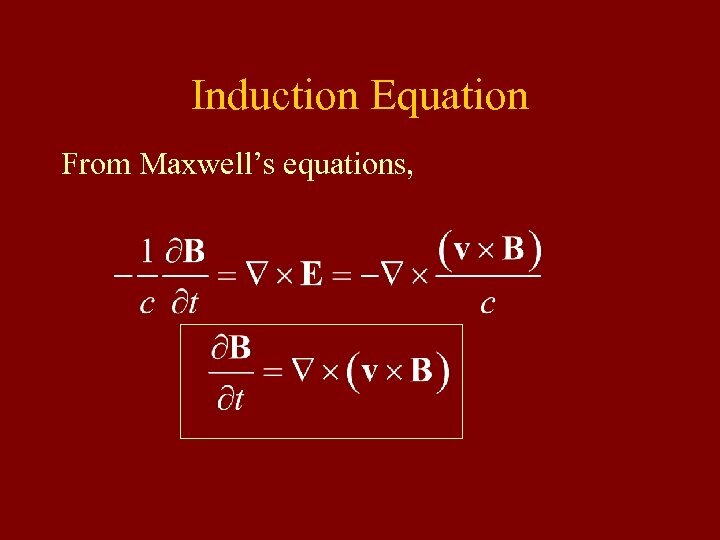 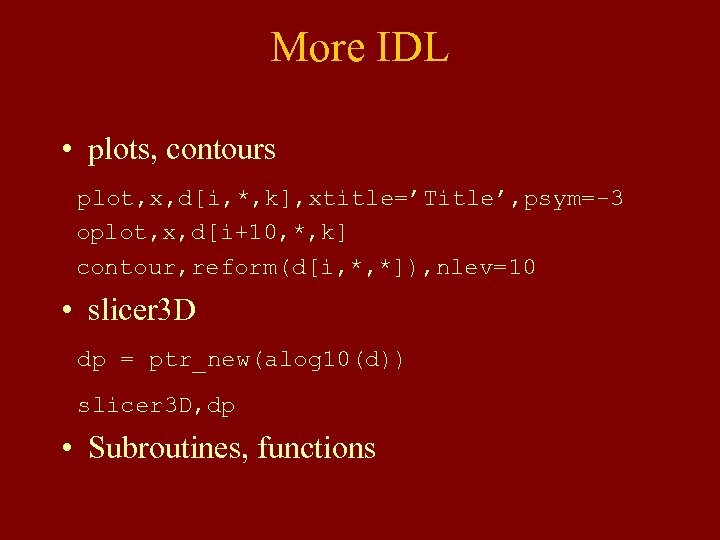 • Seems to explain numerical results well. 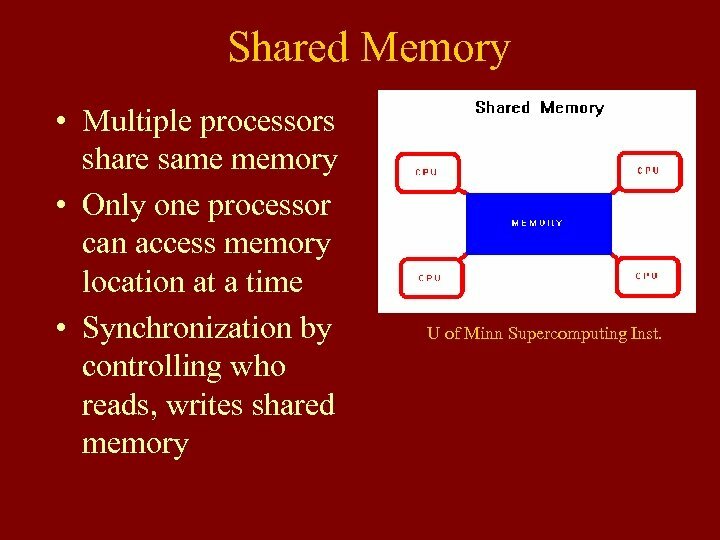 Shared Memory • Multiple processors share same memory • Only one processor can access memory location at a time • Synchronization by controlling who reads, writes shared memory U of Minn Supercomputing Inst. 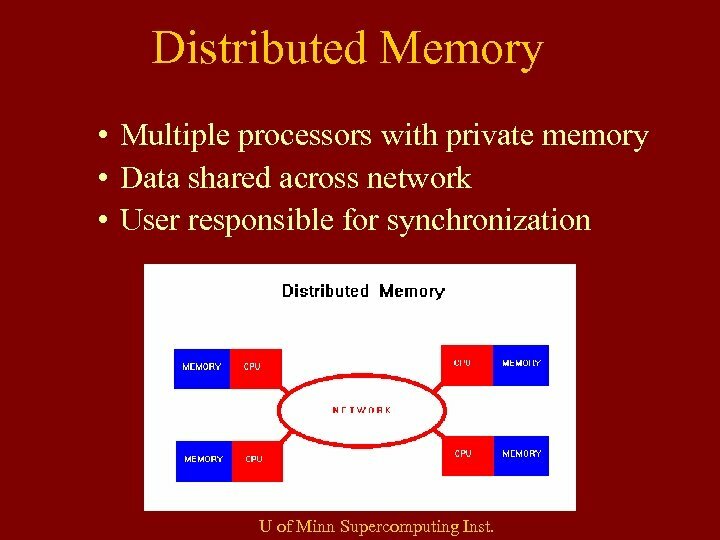 Distributed Memory • Multiple processors with private memory • Data shared across network • User responsible for synchronization U of Minn Supercomputing Inst. 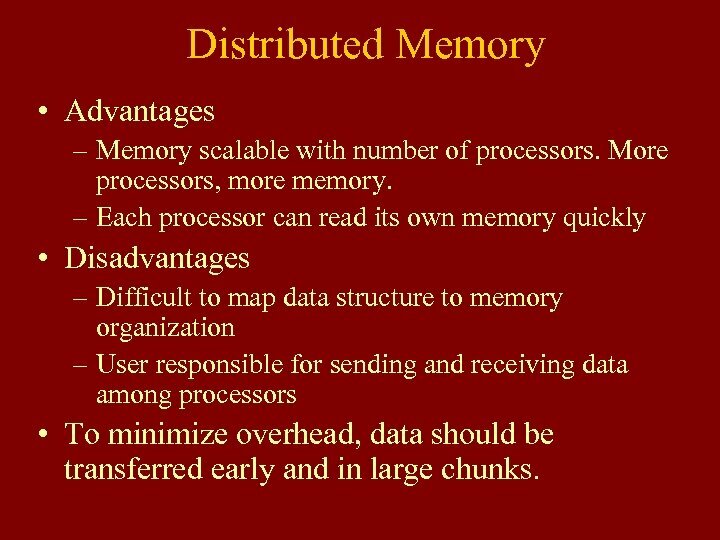 Distributed Memory • Advantages – Memory scalable with number of processors. 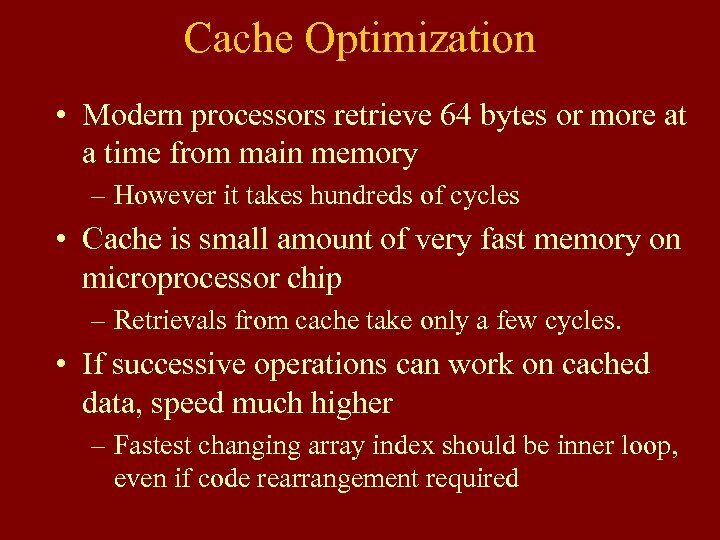 More processors, more memory. 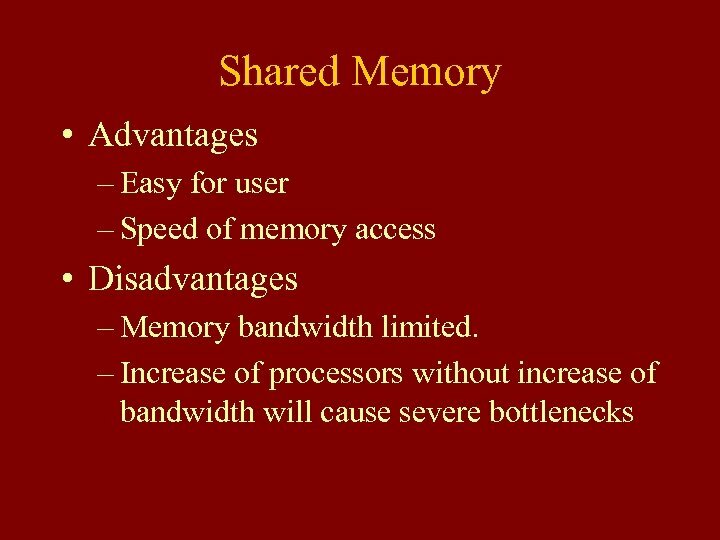 – Each processor can read its own memory quickly • Disadvantages – Difficult to map data structure to memory organization – User responsible for sending and receiving data among processors • To minimize overhead, data should be transferred early and in large chunks. 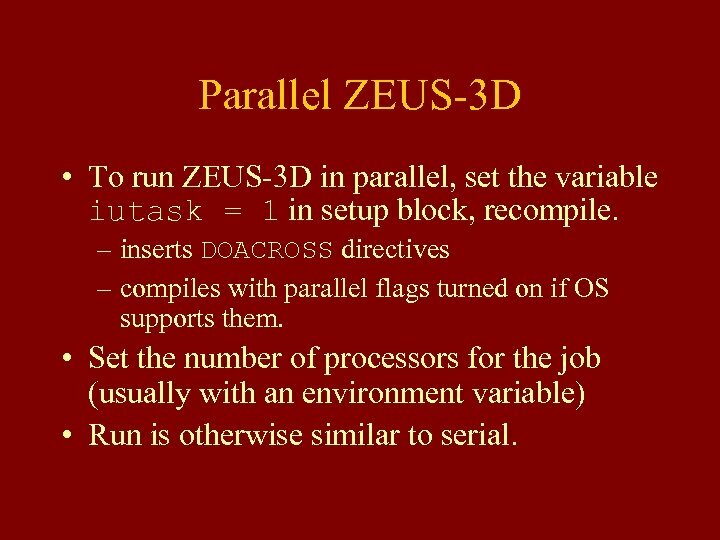 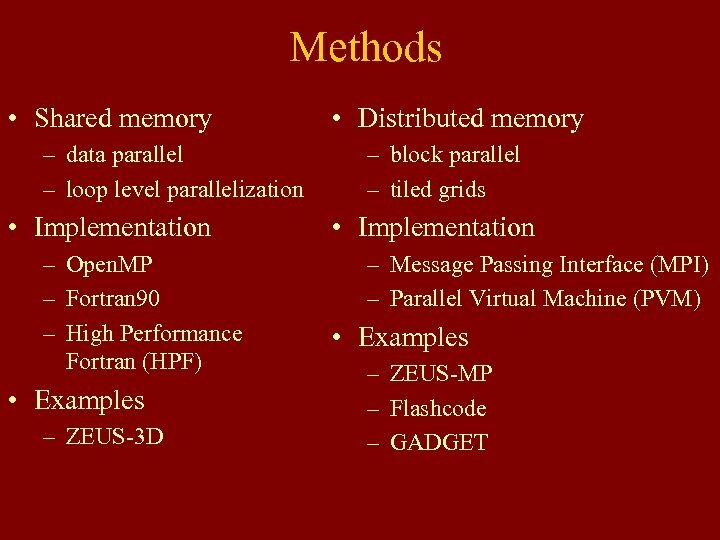 Parallel ZEUS-3 D • To run ZEUS-3 D in parallel, set the variable iutask = 1 in setup block, recompile. 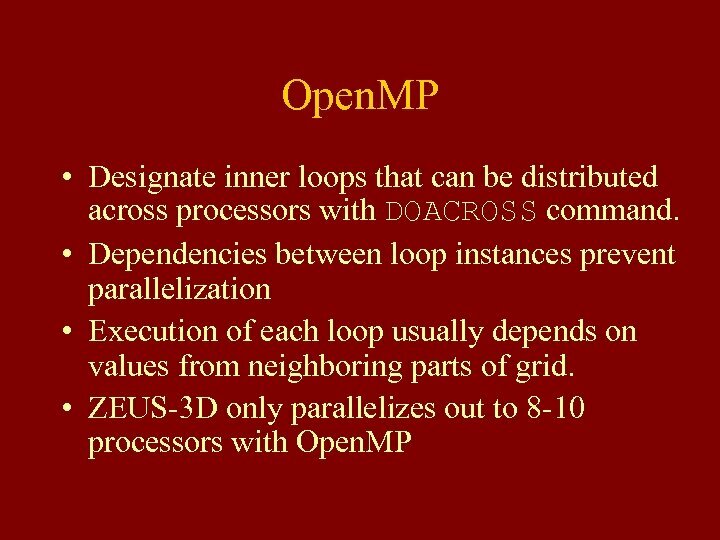 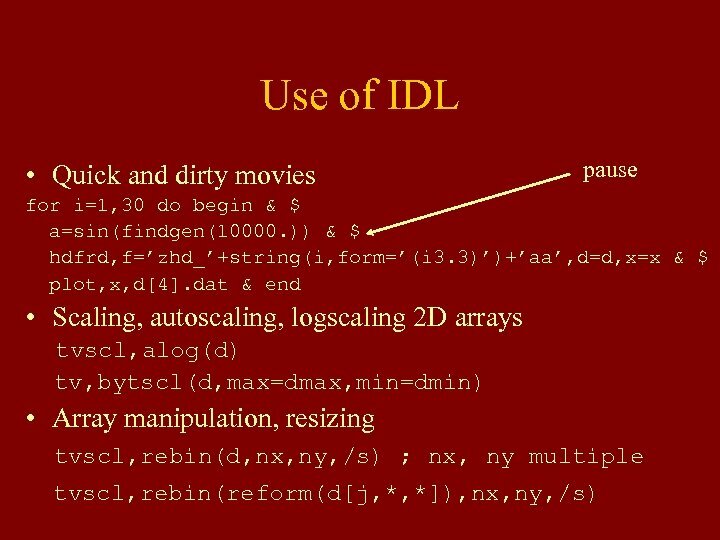 – inserts DOACROSS directives – compiles with parallel flags turned on if OS supports them. 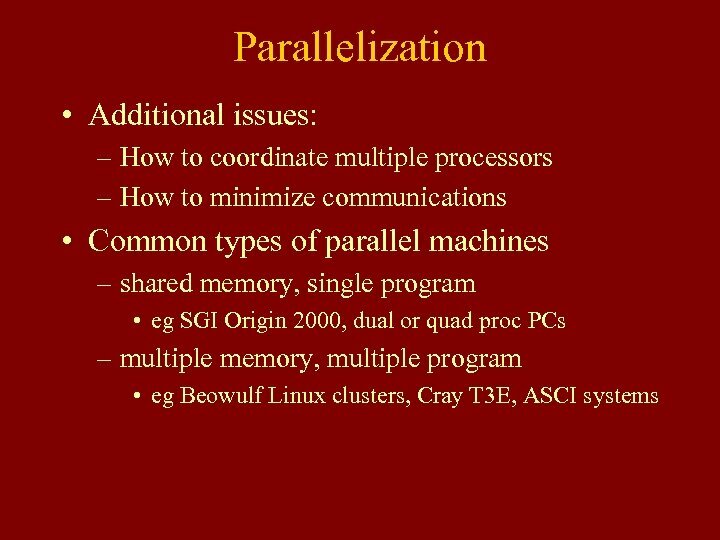 • Set the number of processors for the job (usually with an environment variable) • Run is otherwise similar to serial.